Over the past month, each of the JI’s 18 Under 36 honourees has taken the time to do an email or phone interview with Pat Johnson, so we could get to know them a little better. Once you meet them, you’ll understand why these 18 young achievers and community-minded folk were chosen by the JI’s selection panel with the help of external adjudicator Kara Mintzberg, B.C. regional director of CJPAC (the Canadian Jewish Political Affairs Committee). The second group of honourees at the JI Chai Celebration on Dec. 6 at the Rothstein Theatre were (alphabetically): Ariel Martz-Oberlander, Logan Presch, Maya Rae Schwartz-Dardick, Michael Sachs, Allie Saks, David Schein, Rotem Tal, Carmel Tanaka and Rabbi Levi Varnai. Mazal tov! 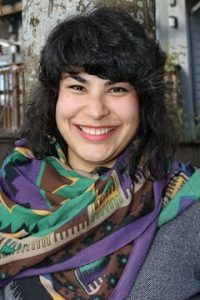 Ariel Martz-Oberlander describes herself as “a theatre artist, writer and teacher.” As a “Jewish settler on Coast Salish territories with diasporic and refugee ancestry,” her practice is rooted in a commitment to place-based accountability through decolonizing and solidarity work. She divides her time between theatre and community organizing, and specializes in creative protest tactics on land and water. Those values have led her to co-found Kids for Climate Action while in high school, and to become vice-president of Fossil Free U of T, a leader of B.C. Sea Wolves, a Vancouver-based “kayaktivist” group, and an organizer of Paddle for the Peace (against the Site C hydroelectric project). She worked with aboriginal activists re-occupying and protecting their traditional land, Unist’ot’en Camp, in northern British Columbia, was a founding member of the Peace Camp at BC Hydro offices and has staged protests against the Kinder Morgan TransMountain pipeline. She received a community grant to screen environmental documentaries at Gordon Neighbourhood House, and theatre fellowships involving writing and directing original works. She has directed, written and acted in plays, and was a program director for Vines. 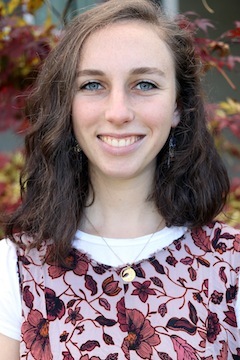 She has guest-taught senior students at King David High School on issues of social justice and volunteered as a facilitator for Or Shalom’s Dialogue Project, as well as leading children’s services at Or Shalom. 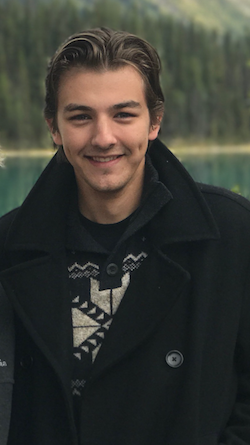 Logan Presch is a University of British Columbia student and a member of Alpha Epsilon Pi, the traditionally Jewish fraternity. Presch, who is from Salmon Arm, B.C., is also a member of the Jewish Students Association, although he is not Jewish. After university, Presch hopes to follow his passion to work in the music industry, as a manager, agent or touring manager, and possibly pursuing a career in singing as well. The Bayit describes itself as a warm and vibrant synagogue in Richmond committed to making everyone feel included and, as the name suggests, at home. 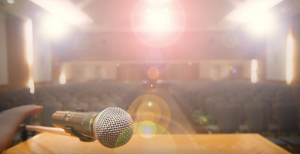 The suburban shul has recently seen a dramatic uptick in membership due to the leadership team of Michael Sachs, the synagogue’s president, and spiritual leader Rabbi Levi Varnai. Born in Stamford, Conn., Sachs moved to Vancouver in 1993. Three years ago, with his wife Shira and two children, he moved to Richmond. While his day job is as a wholesaler of diamonds with ERL Diamonds, since last year he has been busy not only with the routine business that comes with the job of a congregational president, but with tasks that go above and beyond. In addition to raising a family and taking care of business, Sachs is also founder of Marc’s Mensches, an initiative directed at youth to encourage and reward good deeds, and is the political liaison for the Kehila Society of Richmond. “Judaism is the core of my life, from keeping kosher to attending synagogue, and even for guidance in difficult decisions,” he says. And his efforts have been noticed. He was co-recipient of the Jewish Federation of Greater Vancouver’s 2017 Young Leadership Award. As an occupational therapist working in hospital settings with people who have Parkinson’s disease, Allie Saks saw a problem. She heard about a program called Rock Steady, which was founded in Indianapolis by Scott Newman, who was diagnosed with Parkinson’s at age 39. Newman discovered that non-contact boxing training lessened his symptoms. Rock Steady boxers train to improve overall fitness and strength, as well as speed, balance, agility, reaction time, hand-eye coordination, mental focus, and range of motion. The ultimate goal is to delay the progression of the disease and improve overall quality of life. The movement has now expanded to almost 500 affiliates worldwide, helping people with Parkinson’s “fight back.” One of those affiliates is Rock Steady Boxing Vancouver, which Saks founded in May 2016. “I wanted to provide that to people living with Parkinson’s in our community,” says Saks, who also practises as an occupational therapist in Fraser Health Concussion Clinic. In this role, she provides intervention and follow-up services to individuals who have experienced a concussion or mild to traumatic brain injury, in order to manage symptoms and facilitate speedy recovery. Helping people with Parkinson’s live better lives accounts for Saks’ motto that, when life gives you lemons you make lemonade. “I was always taught being diagnosed with Parkinson’s can be the ultimate ‘lemon.’ I hope I can make a meaningful contribution to my boxers, to delay the progression of the disease with Rock Steady Boxing, and make those ‘lemons’ a little sweeter,” she says. Her Jewish heritage and commitment to tikkun olam also play a role in making Rock Steady accessible to all. Saks’ future plans are to expand Rock Steady to reach as many individuals living with Parkinson’s disease in Vancouver as possible. 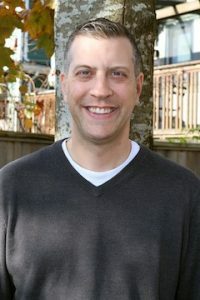 When David Schein saw the documentary Just Eat It: A Food Waste Story, it had a profound impact on him. The film follows a Vancouver couple, the filmmakers Grant Baldwin and Jenny Rustemeyer, as they survive for six months only on discarded food in order to draw attention to massive food waste in North America. Food Stash picks up edible food from bakeries, restaurants and grocery stores, things like imperfect produce, day-old bread and grain products, items that aren’t moving quickly off the shelves and food that has reached its best-before date but remains fine. The food is subsequently delivered to households and individuals who need it, and to charities that feed people. Suppliers include Whole Foods, the August Market, COBS Bread, Rosemary Rocksalt, IGA, Cupcakes, Tractor, Windset Farms, Virtuous Pie, Nesters, Terra Breads, Elysian Coffee, and many other shops, restaurants, cafés and bakeries. Among the agencies Food Stash supports are the Island Refugee Society of British Columbia, Mount Pleasant Neighbourhood House, the Kettle Society, MPA Society, Steeves Manor, Watari, Masjid Al-Salaam and Education Centre, Vancouver Aboriginal Friendship Centre Society, Directions Youth Services, AMS UBC Food Bank, Atira Women’s Resource Centre, and South Granville Seniors Centre, among others. Last year, Food Stash was responsible for rescuing and redistributing 167,110 pounds of edible food – and the amounts are rising daily. The foundation has only one paid employee, a part-timer who is a refugee from the Philippines. A volunteer team of 16 does the rescuing and delivery. Schein has recruited students to support Food Stash, including some from King David High School, where he previously taught French and Spanish. A new pilot program is underway, in partnership with Jewish Family Services. The Grocery Box Program will deliver fresh food to those most in need. The pilot will initially provide 10 Richmond families with four boxes per month of healthy, fresh, quality food. These include produce, bread, dairy and juice, items not frequently available at the food bank because of a lack of ability to store perishable foods. Maya Rae Schwartz-Dardick recorded her debut album this year and has already been recognized by CBC Music as one of Canada’s Top 35 Jazz Musicians Under the age of 35. Under the performing name Maya Rae, she was just 13 when she performed at the Vancouver International Jazz Festival. While her voice has wowed audiences, it is also her philanthropic spirit that is gaining attention. She routinely performs at fundraisers for organizations and causes, raising $20,000 to date. Of this, $6,000 was raised to help resettle two refugee families in British Columbia. Other causes for which she has shared her talents include support of homeless youth, anti-bullying campaigns and a fundraiser for Nepal earthquake victims. The CD release party for her first album was a fundraiser for Covenant House, which helps youth 16 to 24 who have fled physical, emotional and/or sexual abuse or are street-involved. 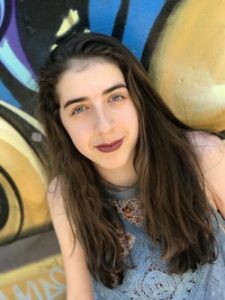 A member of Temple Sholom’s Youth Board, Schwartz-Dardick enjoys singing at synagogue and reading Torah during the High Holidays. She plays regularly at Louis Brier Home and Hospital to bring music to seniors in the community. 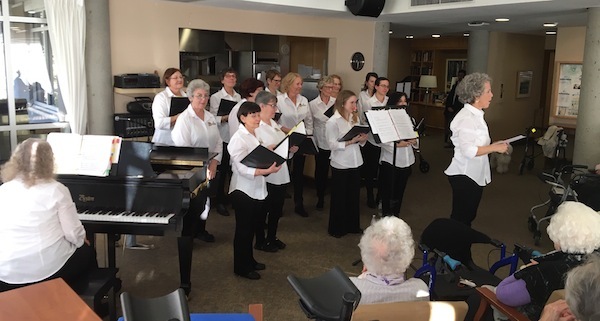 “If my music can make a difference towards helping people and making the world a better place, I can’t think of anything else that I’d rather be doing,” Schwartz-Dardick told the Independent last year. The entrance sports a Dizengoff Street sign, winking at the Tel Aviv hotspot, and a mural features David Ben-Gurion, Moshe Dayan, Theodor Herzl and Golda Meir crossing Abbey Road. After traveling the world following his military service, Tal settled in Vancouver for its laid-back vibe, yoga classes and mountains. 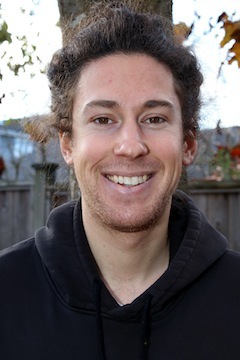 He studied at Simon Fraser University, where he was active in Hillel and, after graduation, took a job as Hillel’s outreach and special events director. That involved a lot of cooking and hospitality. He was also a founding resident of Vancouver’s Moishe House, a hub for young Jewish adults. Tal is committed to environmental sustainability. At Hillel, he replaced all plastic utensils with reusable ones and instituted a composting program. He also made a very personal commitment to the health of children in the developing world. He raised $3,500 in a fundraising effort for Save a Child’s Heart by cutting off his signature dreadlocks. Save a Child’s Heart is an Israeli charity that provides life-saving heart surgeries to kids in Africa, Asia and Eastern Europe. 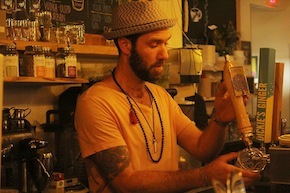 Tal left Hillel to follow his dream of becoming a professional full-time chef and restaurateur. With his friend Shani, Tal started the Chickpea food truck, an Israeli vegetarian option that gained quick fame and a strong following. Earlier this year, they opened the 2,400-square-foot storefront restaurant on Main Street and took the vegetarianism a step further, eliminating eggs and dairy to make the place vegan. Even the shakshuka replaces eggs with a spicy vegetarian sausage. While running a restaurant has been a long-term goal, now that he has realized it, there’s another vision on the horizon. Tal’s connection with his Judaism emerged largely after he left Israel. “I was traveling for many years by myself, or would meet friends in different countries like Australia or the States,” he says. 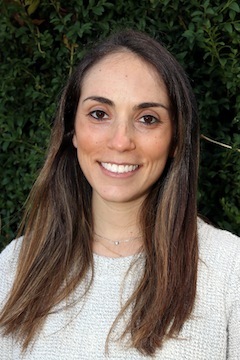 “I noticed that, although Judaism never played a major role in my upbringing (since I was raised in Israel and Jewishness is just all encompassing), wherever I landed, no matter where I came from, the Jewish community always welcomed me with open arms. I was always able to find a place to stay, work, and friends. Carmel Tanaka credits her unique family history with helping form her worldview and ability to meet people on their own terms. She found this out, she says, while serving as the director of Hillel Victoria, where she enhanced the connections between the Jewish students organization and other individuals and groups on campus. That bridge-building was on full display during Hillel’s Holocaust Awareness Week at UVic last year. Tanaka created an imaginative and moving commemoration. As is traditional, six candles were lit in memory of the six million Jewish lives lost in the Shoah. A seventh candle was lit to symbolize hope. To light the candles, she brought together the diversity of the campus community, including representatives of First Nations, African, German and Slavic communities. 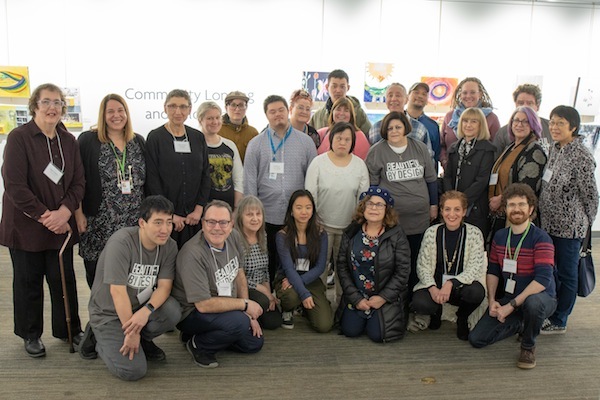 UVic’s Multifaith Services participated, as did the Jewish Federation of Victoria and Vancouver Island and advocates from the Sexualized Violence Task Force. UVic Holocaust educators and representatives of the administration lit candles, as did children of Holocaust survivors. Student leaders, including some who had returned from the university’s I-witness Field School, which takes students to Central Europe to explore how the Holocaust is memorialized, joined the ceremony. In another symbolic act, recollecting Kristallnacht, participants took shards of a broken window and pieced them back together, creating a “resilience window” that has been used at subsequent community commemorations. 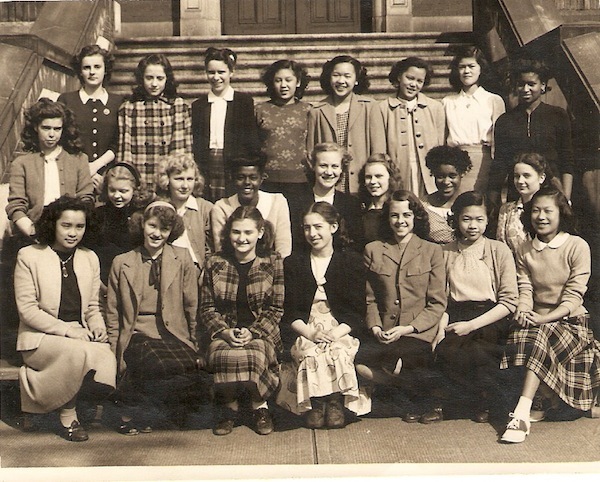 During her time in Victoria, Tanaka also assisted the Jewish Federation of Victoria and Vancouver Island’s Yom Hazikron and Yom Ha’atzmaut events. To help raise funds for a Syrian refugee family sponsored by Victoria’s Congregation Emanu-El, she performed as the Fiddler, as well as volunteering as the music director, in a staging of Fiddler on the Roof. 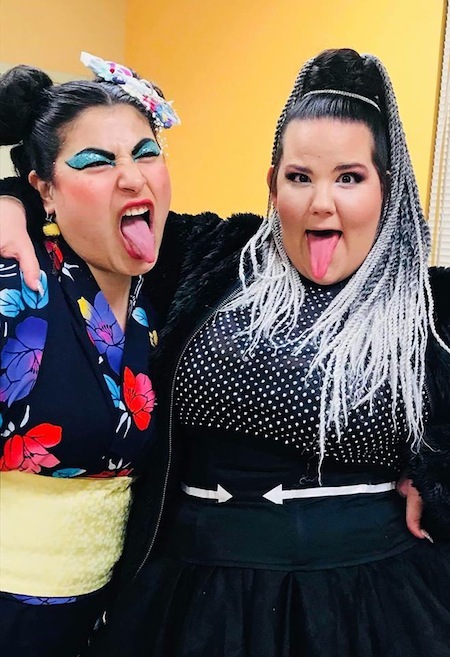 Tanaka recently took the position of community relations manager at the Centre for Israel and Jewish Affairs, Pacific Region, another role that requires making connections. “In many ways, my new role is a natural progression from what I did at a local level, just now at the provincial level,” she says. The Richmond synagogue known as the Bayit has its roots back a few decades in the Eitz Chaim congregation, an early institution in the emerging Jewish community of the southern suburb. As young families have been priced out of the Vancouver real estate market, a large number of them have moved across the bridge to find more affordable housing. In response, a plethora of Richmond-based organizations have popped up to meet the demands of the growing Jewish population. The Bayit, though, had fallen on difficult times for a few years. After a series of rabbis, the congregation went a spell without a spiritual leader until July 2016. That’s when a new congregation president and a new rabbi took the helm, ushering in a younger leadership team and sparking what has been, so far, a dramatic renaissance in the life of the shul. 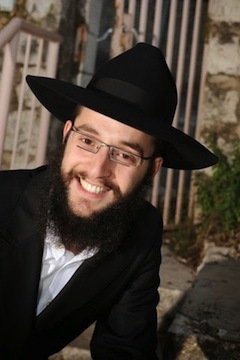 Rabbi Levi Varnai was assistant rabbi at the Ohel Ya’akov Community Kollel on West Broadway, providing spiritual care and connections especially for young families. Then, Michael Sachs, who had recently moved from Vancouver to Richmond, became president of the Bayit and, at the first board meeting, the congregation hired Varnai as rabbi. In little more than a year, the synagogue has grown exponentially. Varnai laughs that, as a born Vancouverite, moving to Richmond meant breaking down a stigma. But it wasn’t the biggest move in his life. When he was 12, his family made aliyah. He studied in yeshivah in Israel, then went to New York for rabbinical studies. He married an Israeli woman and served as chaplain to the elite, top-secret intelligence unit 8200. Reaching young families is key to the future, he says. “If our parents are involved but we can’t get our kids involved, where is the future of Judaism?” Religious services are only part of the Bayit’s appeal, he adds. “In English, we say synagogue, in Yiddish we say shul. The word in Hebrew is beit haknesset, meeting place,” he says. “A gathering place. When Jews gather, obviously one of the things they do is have services. But the main point is the gathering place. That’s where the emphasis is. A place where the Jewish community is together, to laugh, to have fun, to gather together, to have social events and whatever it may be that provides community and takes care of one another. “I see a huge potential here,” he says.